Meanwhile, back at the ranch | Grow. Cook. Read. Write. While I continue to go to work, at home my double life continues. 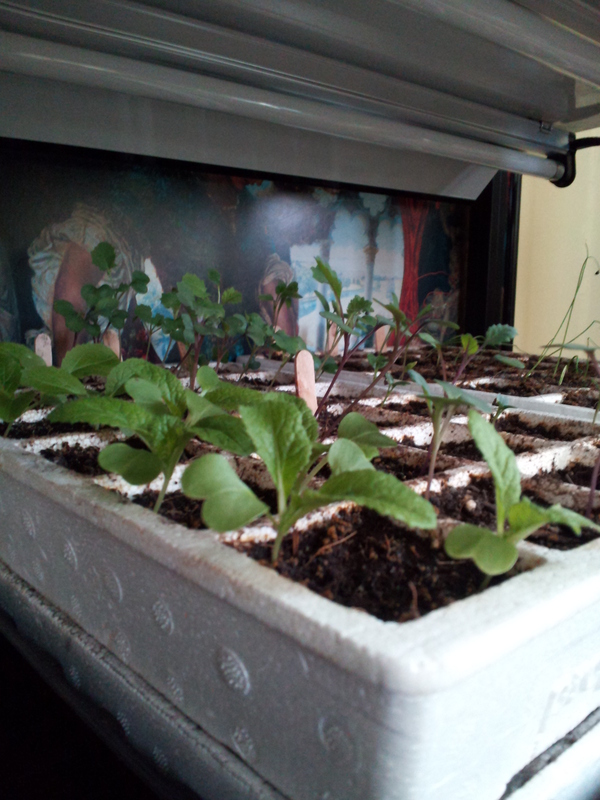 There are flats of seedlings covering the table in our kitchen, and others continue to grow on the light stand I have in my office. I never cease to be amazed by how maternal I feel about my plants. I’ve never particularly wanted children of my own–the dogs (and for now, my students) are enough–but I’m definitely motherly toward these fragile-but-oh-so-strong babies pushing into the light. 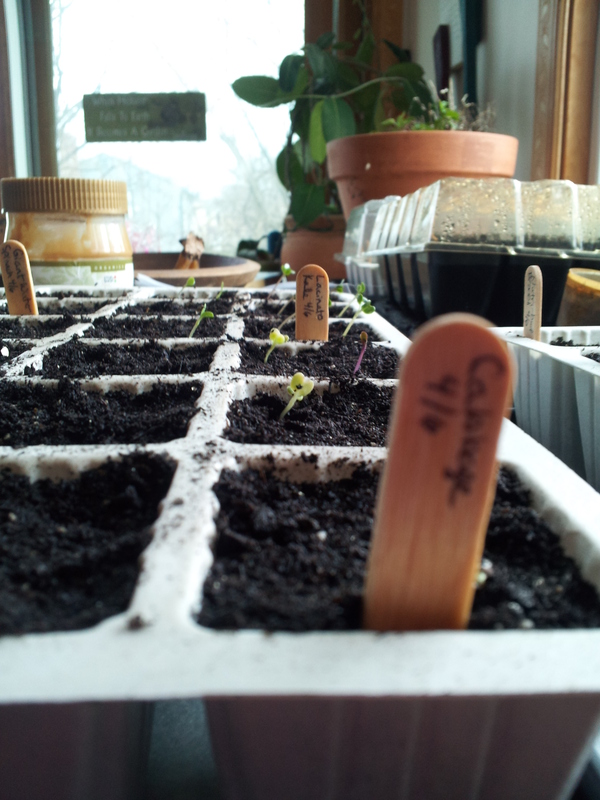 This year is especially exciting–okay, probably mostly just for me– because I’ll be growing a fleet of vegetables I’ve never had room for in the Massachusetts garden. Two kinds of cabbages, celeriac, onions, broccoli and four kinds of cauliflower (I like it so much better than broccoli, but feel compelled to grow the green stuff. Shh. 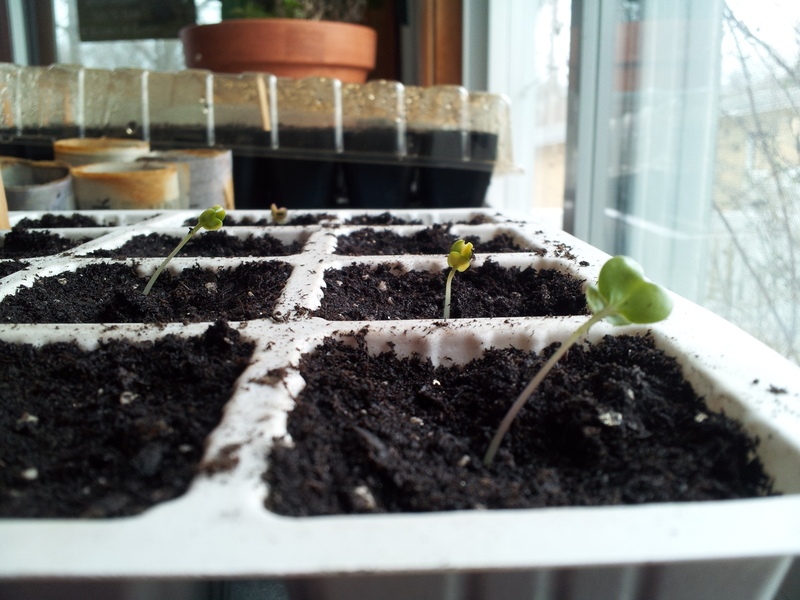 I don’t want the broccoli seedlings to wilt.) 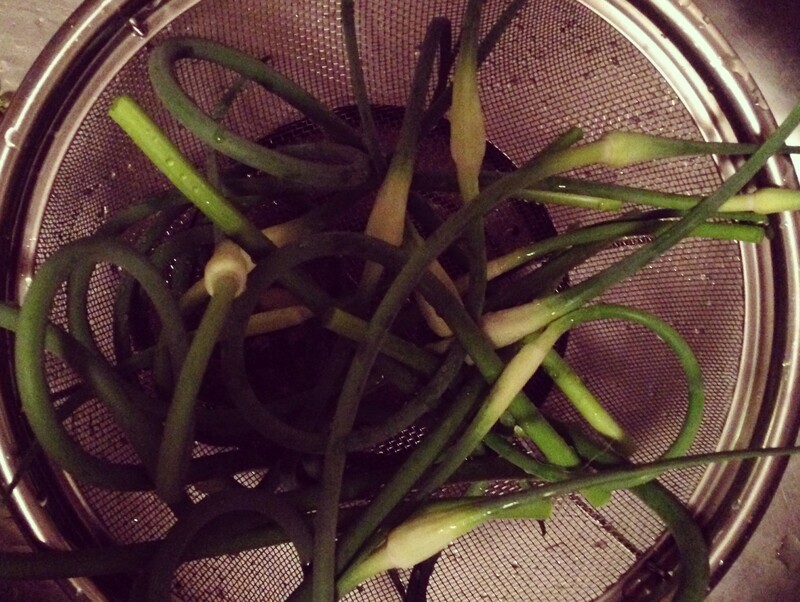 are all in various stages of growth right now. When the weather is right in New York, I’ll be direct-seeding two kinds of melons, carrots, and cucumbers for the first time. It is incredibly hard to be patient. I’ve had seeds going for a month now, but this weekend will be the first time I put any in the ground. I’m starting with lettuce here in Massachusetts, so we’ll have green things to eat when our CSA share ends in May. I have to admit that I’m somewhat terrified by the pressure I’ve put on myself to grow as much of the produce as I can for the two of us for a year, but this kind of new challenge keeps my brain ticking. It’s nice, on those days when I feel like I’m a useless prop at the front of my classroom, simply another annoying adult in the kids’ lives, to come home to all the green. Today was one of those days. Hello, little cabbage. Welcome to the world. I’m so jealous! 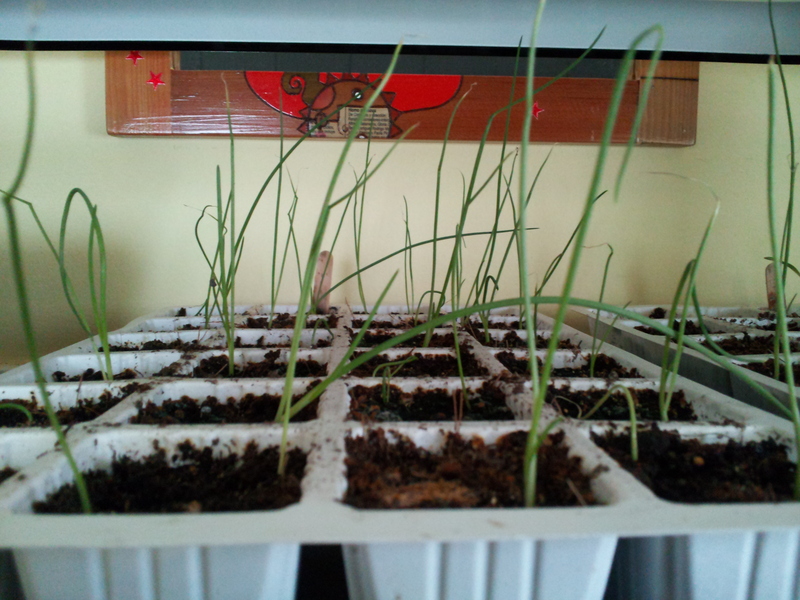 I suppose if I were less lazy, I could have seedlings too. I’m much less motivated, though, when I have no yard. I will enjoy watching yours grow until I have my own space. You can watch them grow, and I’ll work on how to keep the bunnies and other assorted fauna from eating them! Never had to deal with much wildlife before…though that’s certainly part of the appeal of moving there, so I’ll deal.